In this daring move, Sarah Palin plans on running as Vice President and she wishes to do so with the best potential Presidential candidate possible. “Freedom loving Americans want freedom to love in America and I plan on being the vice candidate that stands next to the candidate that can do that thing.” She will personally interview and question each potential Presidential candidate. This is the first time in American history where a person has decided to run for Vice President and not first seek the office of the President. 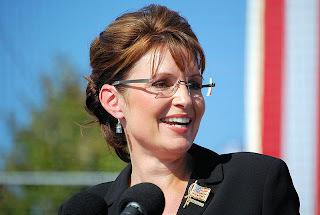 We attempted to ask Sarah Palin about this strategic move, but we had not sent this question 48 hours in advance to her Strategic Media Force, so we were unable to get an answer.